Victoria joined the Equus Industries team in late 2014. Her experience in the construction and waterproofing world was limited as she was brand new to the industry, however, over the last two years she has learnt a lot and has become very interested in the technical side of our products. She initially started working solely with the Southern branch carrying out admin duties and assisting the sales consultants. She now works alongside all branches, with her main duties encompassing assisting the Directors and the sales staff. Victoria also deals with internal communications, marketing, social media and some office administration. With a background in the Sciences, Victoria completed a Bachelor’s Degree in Biological Sciences at the University of Canterbury, focusing mainly on ecological principles, animal behaviour, and New Zealand ecology. 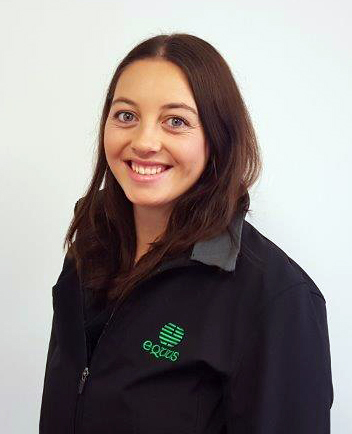 When she began her role with Equus she was looking forward to a change of scenery and the opportunity to learn more about an industry that was quickly growing in Christchurch. Outside of the office Victoria is actively involved in community netball, spending most of the winter season at the courts. She also enjoys getting outside in the sunshine for a bit of training, walking and exploring new areas.